Army officer turned tailor Tony Lutwyche wove himself into British tailoring folklore when, in 2006, he rescued a 1930s hand-tailoring workshop – artisanal employees and all. Now operating from his atelier in Mayfair, Lutwyche is making his mark across The Pond, having leased the entire third floor of 717-719 Madison Avenue. How do you feel bespoke London tailoring has changed over the post-war years? It’s been vastly affected by globalisation, with a lot of tailors now outsourcing to overseas workshops. Authenticity and integrity are two hugely important factors for us, which is why we continue to support the trade within the UK by continuing to make all of our products in England. What’s not ideal about off-shoring? Those who have moved their production overseas often sacrifice control and quality in order to achieve lower costs. 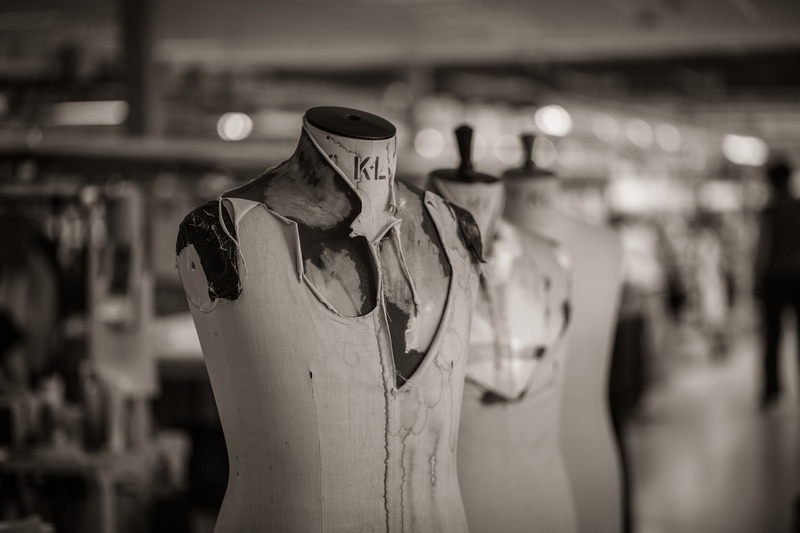 Amongst traditional tailors who still have full workshops there has been a gradual change but nothing too dramatic. Having worked with Saks Fifth Avenue across the USA, we’ve developed our product to reflect changing needs. Our clients want lightness and comfort whilst ensuring a traditional English silhouette. 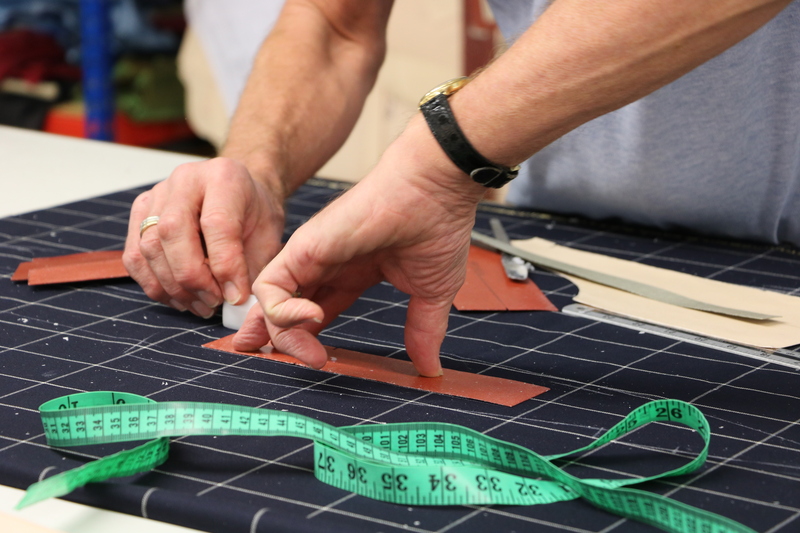 What was your first experience of bespoke tailoring? Prior to setting up Lutwyche I was an Officer in the British Army, and my first bespoke tailoring experience, when I was passing out of The Royal Military Academy Sandhurst, was part of the reason that, many years later, I set up Lutwyche. The experience was from yesteryear and while the suits looked great, the weight and construction of them made it feel like you were wearing a suit of armour. Lutwyche was set up to address both these issues. We spent many years developing the product to create a lighter, more comfortable garment that maintains the British silhouette. In the US our main competitors are Italian super luxury brands, so an English feel is one of the major points of differentiation. So your regimental background had a big influence on your approach to tailoring? My time at Sandhurst and then the 9th/12th Royal Lancers gave me the strictest guidelines about what should and shouldn’t be done, and those guidelines have given me the confidence to understand how to go left and right of the traditional norm without becoming too dandy or too garish. Attention to detail is also something that the Army drills into you and this has set me in good stead in the tailoring world. Do you see the resurgence in classic menswear elegance – arguably a retrospective trend – continuing for the foreseeable? The most important thing about tailoring is that it’s relevant for today – it doesn’t have to be fashion forward but it must be relevant. The resurgence in classic menswear elegance will continue and style will continue to alter ever so slightly as time goes by. In tailoring, there are always walls to be broken, but breaking them at the right time is important. Why was New York the logical setting for a “second home” for you? Building on our lengthy partnership with Saks was probably one of the main factors. We have been working with Saks for eight years and I have travelled the length and breadth of North America with them on trunk shows. This experience has given us a deep understanding of the US luxury market. The New York showroom allows us to support the existing US business whilst giving clients an opportunity to engage with the whole Lutwyche experience in the heart of an amazing, cosmopolitan city. How would you describe the differences between American and British/European attitudes to tailoring? Men are travelling across the globe more and more now, so the styles across the world are merging – especially between America and Europe. We make very much the same clothing for our US and European clients. One point of difference is the balance of sport coats vs suits – in the US we make more sport coats and separate pants than suits whilst in Europe we tend to make more suits. 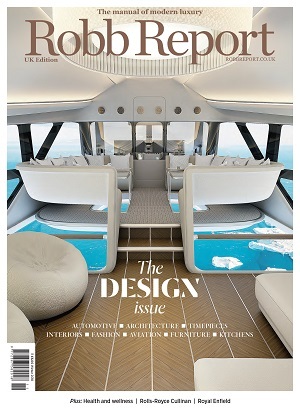 How has the very nature of luxury – in a broad sense – changed lately? In my eyes, ‘luxury’ is about quality, uniqueness, experience and how the product is put together. But the biggest luxury, to me, is time. Our client’s time is incredibly valuable so we try and make the experience as bespoke and enjoyable as possible for them. 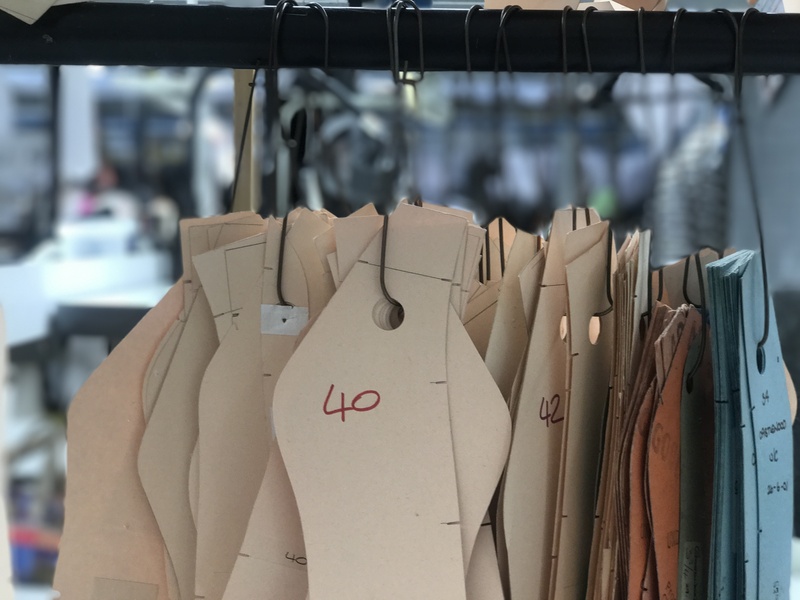 At the same time, they appreciate that 60 hours of hand-tailoring goes in to making their bespoke suits in order to give them the unique styling and quality that sets them apart. At one point, I think, ‘luxury’ became mass and easily accessible – it wasn’t truly rarefied or personalised. I’m pleased to see it moving back towards bespoke experiences. 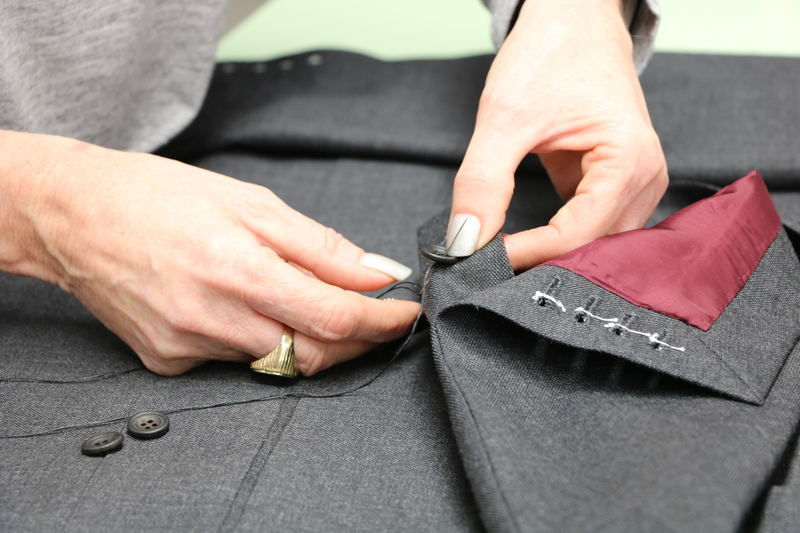 The reason I got into tailoring is because the Savile Row experience didn’t feel luxury. It felt exclusive but also excluding, which is why we make an extra effort to sit down with each and one of our clients in a private space – be it in London or New York – and discuss their individual requirements. That way, our clients are included in their pursuit of exclusive clothing. I find creative inspiration in my everyday life, whether that’s travelling for work or enjoying time off. The rich experience of visiting so many cities allows me to see and understand the slight cultural nuances that exist. When I have time off, I also notice beautiful colour combinations from Norfolk beaches to skiing in Switzerland – there’s always something interesting and beautiful to inspire me.